An island measuring 1.8km in length, Kuramathi Maldives offers “something for everyone”. With this mantra, we certainly do not overlook our younger guests – we have something for them too. 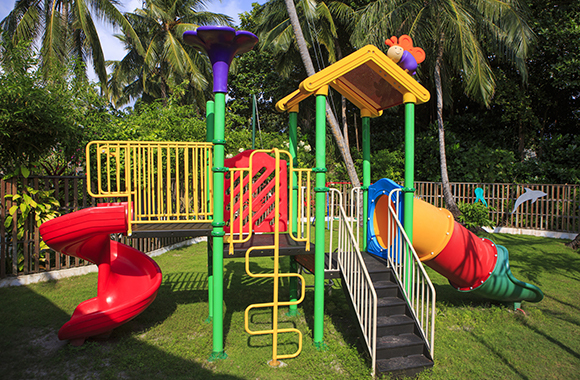 Bageecha, the kids club at Kuramathi is open from 8.30 in the morning till 7.30 in the evening, and offers fun filled adventures throughout the year for our guests of 3-12 years on complimentary basis. Come this Easter, we have put together a complete plan to ensure that the children have the best time with us. Over a period of 5 days, children will have a chance to show off their artistic skills during the crafting of Easter decorations, painting their own Easter eggs, take part in lots of fun indoor/outdoor games, enjoy wet and wild times in the pool, go on an exhilarating ride on our semi-sub and of course collect as many eggs as they can on the big egg hunt, for how can an Easter party be complete without one! Join Kuramathi on this fun egg-citing adventure!